Contents and Media: 53 parts arranged on two sprues of grey styrene; 6 parts in clear styrene; decals for one subject. 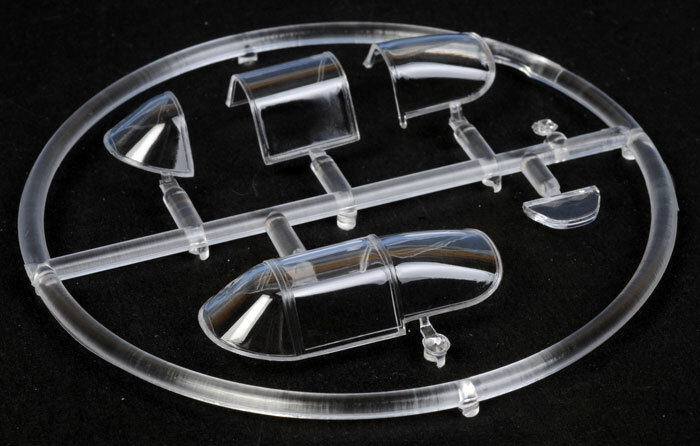 Advantages: Well executed surface detail, Crisp clear transparencies, Good instruction sheet, Excellent decals. 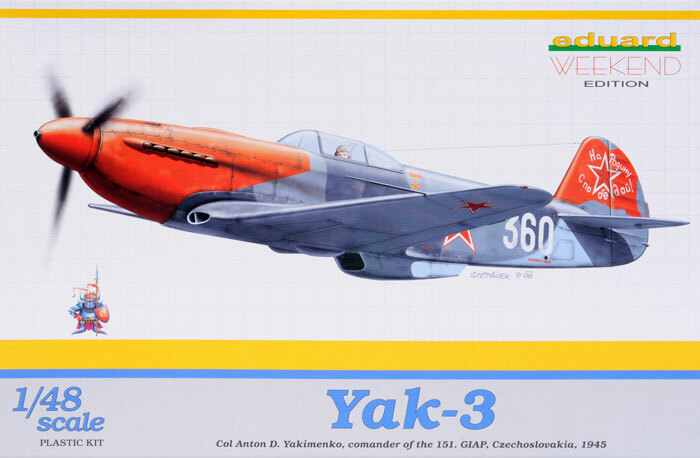 Developed from the Yak-1, the Yak-3 entered service in time for the battle of Kursk. Lighter and smaller than Yak-9 but powered by the same engine, the Yak-3 was a very agile dogfighter and a forgiving, easy-to-handle aircraft loved by all who flew it. Early combat experience showed the Yak-3 to be superior to all Luftwaffe fighters at altitudes below 5,000 m (16,400 ft) and by 1944 a general directive had gone out to Luftwaffe units on the Eastern Front to "avoid combat below 5,000 m with Yakovlev fighters lacking an oil cooler under the nose"
The Yak-3 was put to good effect by the famed Normandie-Niemen who scored the last 99 of their 273 victories on these machines. At the end of hostilities this group was given their Yak-3’s by a grateful Soviet Union and flew them across Europe back to Paris. A total of 4,848 aircraft were produced. 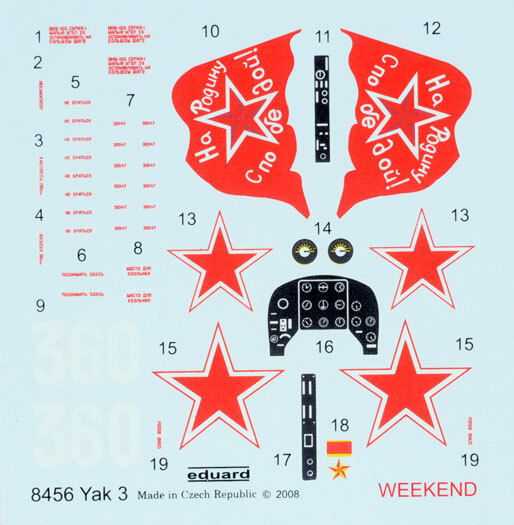 Eduard's 1/48 scale YAK-3 has been available for a while now and has appeared in other guises such as their “Profi-Pack” series with all the trimmings, so it is good to see it has now been added to the list of the less complex “Weekend Edition” series. I rather like the concept of the “Weekend Edition” series. 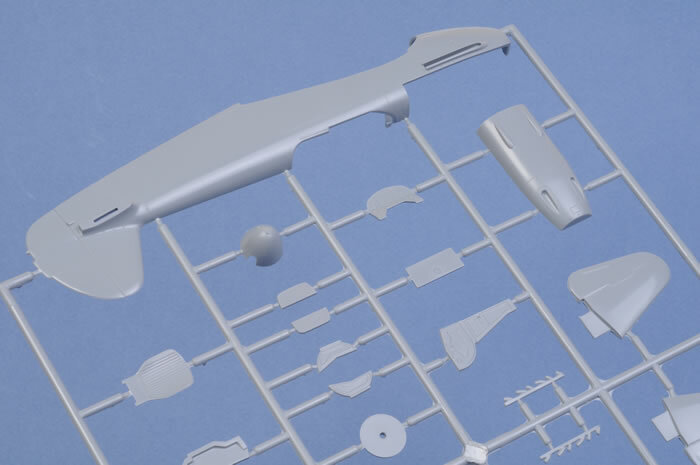 You get a quality kit that is simplified and at a good price, so it is up to you, the modeller, to detail as much or as little as you wish, with out all the mucking about with photo-etch and painting masks. 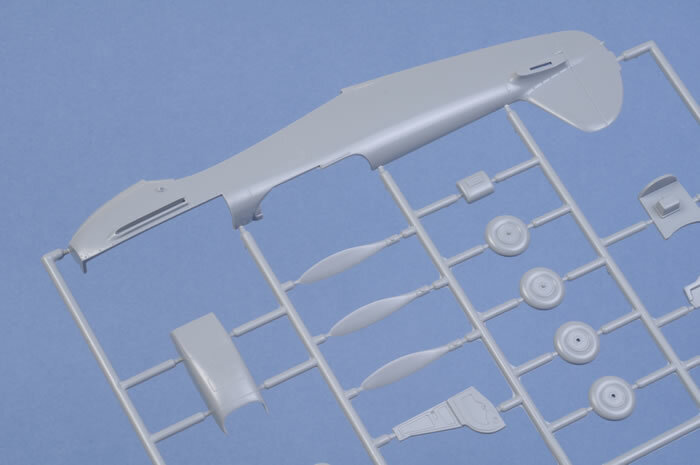 This kit is beautifully packaged in a light-weight top opening box with plan views of each side of the aircraft and colour layout printed on the side. The sole option provided is clearly and attractively presented on the box top. So what of the contents? 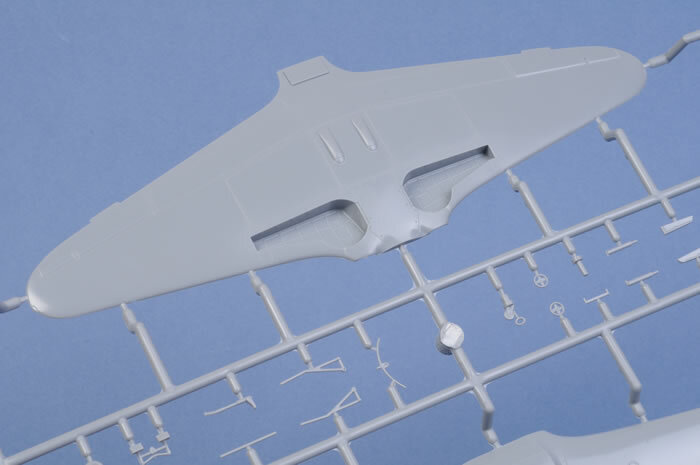 The kit consists of 53 parts moulded in light grey styrene on two separate sprues. These are crisp mouldings; the parts have very finely engraved detail throughout and minimal flash. The part sprues are all individually bagged. The cockpit is well detailed with side consoles, instrument panel, reflector gun sight and seat. The cockpit walls have the fuselage frame detail moulded in place and this was probably the only let down I could find with the kit, since these details appears a little flat and two dimensional. Even so, with the appropriate paint and shading I think it will still be quite presentable even with an open cockpit. The clear parts are thin and free of any distortions; they offer the modeller the option of closed or open canopies. My example had a blemish on the closed canopy part and I can’t be sure if this was due to damage sustained in transit or from a scratch on the mould. The cowling gun troughs are nice and deep, but the gun apertures themselves will need to be drilled out. The wings come in top and bottom parts and have lovely deep boxed wheel wells. This aircraft is finished in Light and Dark Grey over Light Blue camouflage with a Red nose and cowling and fancy patriotic slogan and flag motif on the tail. The decals have a thin carrier film with perfect registration, good colour density and resolution fine enough to be able to read the stencils (assuming you can read Cyrillic). I am really looking forward to building this one. By all accounts this kit goes together very well and having seen the parts on the sprue I have no reason to think otherwise. I have some doubts that many of the “Weekend Edition” series kits can really be completed over course of 48hrs, however if a kit came close it would have to this one. (I may put this to the test soon). 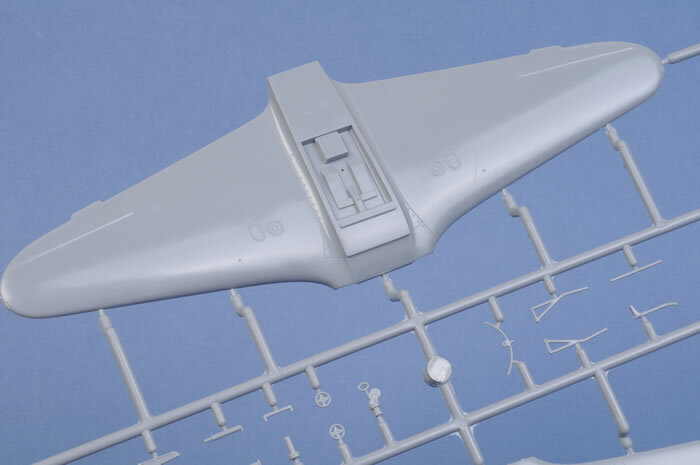 This kit will be ideal for anyone wanting a simple and satisfying build of good looking Soviet fighter.